I didn't think it was possible for me to be even more impressed with nSpa's skincare range than I already was the first time I went- but oh no. I managed to find a total gem, an even bigger gem than all the other amazing bits I found first time round. 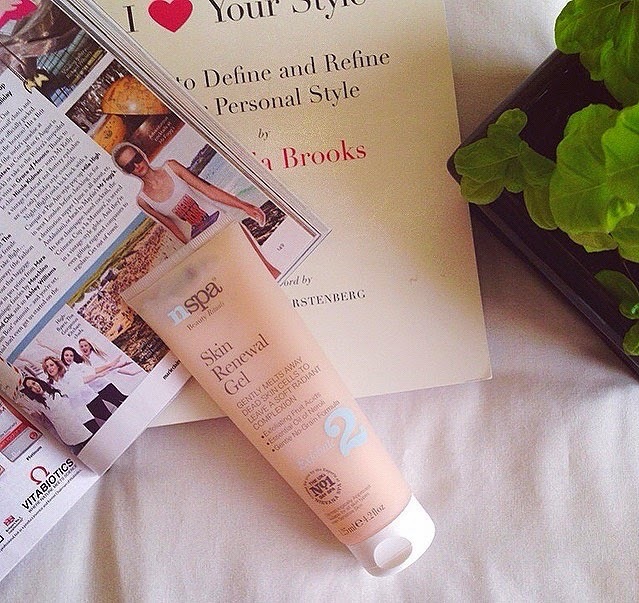 The nSpa Skin Renewal Gel. This is an exfoliating mask- but not a harsh, scrubby, beady mask- no no. An acid exfoliating mask. This mask is loaded with loads of naturally exfoliating fruit acids. Including orange, bilberry, sugar cane extract (where glycolic acids comes from), grape seed and lemon. It also contains Vitamin E and Neroli oil. Lovely. Now, this mask is far more gentle than other exfoliating masks, as fruit acids are far less abrasive than the likes of a chemical acid such as glycolic. However, this mask is still very effective. It comes out as a thick gel. As you massage it over the skin it breaks into an oil (it takes a while before this happens). I like to massage it around my skin (sometimes using my facial massager) for 1-2 minutes. I then let it sit on my skin for maybe 10-15 minutes, so I get the most out of the exfoliating acids. I then go back in and start to work it round the skin more, until it finally breaks into the oil. Once it has done that, I remove it using a wash cloth and warm water. With acid exfoliants, you feel a tingle on the skin when the acid is nibbling away the dead skin cells, with this mask you feel a more... fuzzy feeling? It is strange. It isn't tingly as such but I can feel it doing something! When I remove the mask, my skin feels so soft. It is lovely! You can really feel that the fruit acids have nibbled away all the dead skin and revealed a new healthy layer of skin cells. My skin never feels tight or stripped after using this, something I love about the whole nSpa range, all the products always leave my skin feeling so comfortable and supple after use. I love that it is so gentle yet effective. I prefer this £7 mask over my £30 REN mask. *gulp* I am both happy and sad about that! If you are in ASDA any time soon, definitely check out this lovely range! 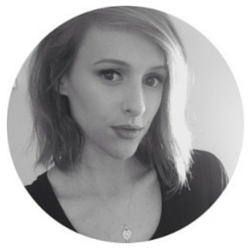 You can read my post reviewing some of their other skincare bits here, too. I hope you found this helpful and pick up some nSpa skincare to try! I love this mask! Very effective. The product I wish I hated..